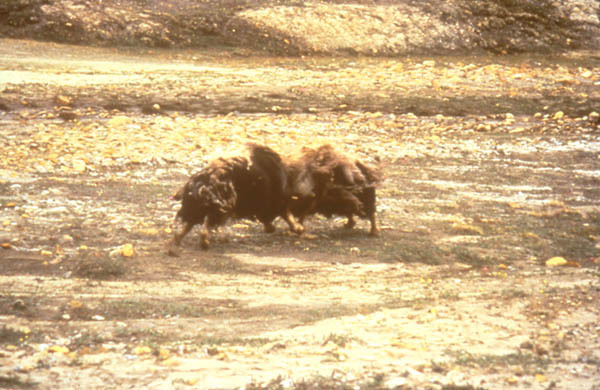 Two males fight for the right of establishing a dominant position and the privilege to establish a herd. The head-on crashes can be heard for miles, and are occasionally fatal. These fights are prevalent during the rutting season. During the summer months the Muskox groups seem to be smaller, from 2 to 12 animals, while during the winter months some increase to 50 or more.